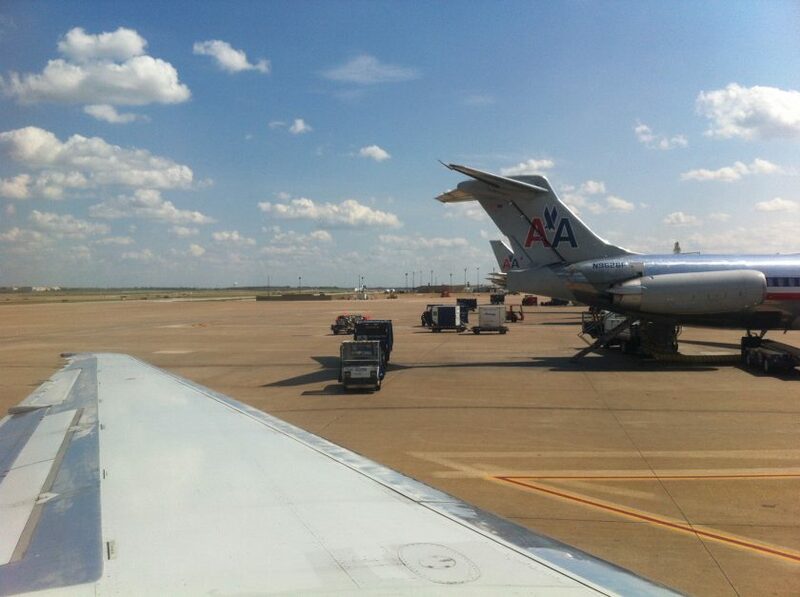 Dallas / Fort Worth is one of the largest airports in the world and home to American Airlines. In fact, it’s larger than the island of Manhattan. However given its size, it’s actually one of the easiest to get around; it’s a pretty efficient mega-hub. There’s an air-side train called the Skylink which goes between all of the terminals. The map below shows the layout of the terminals and where the stations are. Given it’s both easy and quick, 99% of people never walk from terminal to terminal, however it’s very easy to do so. One of my personal annoyances when I’m travelling is the fact I’m generally sitting in an aeroplane seat for hours at an end, means it’s really hard to stay fit, keep your steps up and generally not turn into a blob. One of my friends, Eric, wrote this article about going for a run at airports. If you’re not up for a full-on jog, the sheer size and scale of DFW actually makes it pretty good for walking between terminals to get a decent amount of steps in, provided you have enough time between flights. In my case, I arrived at the C gates, and decided to walk up the Admirals Club located in the A terminal. My flight was leaving from D16, so then walked back over to the B terminal, and then down from there through to the D gates. By the time I’d got to the gate, it was over 4,000 steps. After all that walking you’re going to need a shower to cool off, especially given the heat in Texas during the summer. American Airlines has lounges in four of the five terminals, although there isn’t one in terminal E as yet as they’ve only just started flying from there. Terminal A used to handle international flights, and also used to be a Flagship Lounge for first class passengers before it was closed (however a new one is coming back in D soon). The showers that they have there are quite simply the best that I’ve come across at an airport. They have a rainfall shower head. They have multiple side jets. They have a hand shower head. All of which can work at once. The amount of water that they use is quite simply embarrassing, but after a long-haul flight it’s a great way to relax. So in the interests of science and being an intrepid traveller, there’s a small video review posted on my YouTube channel and linked below. Previous Post: PrEP and Global Entry. Updated. Next Post: Hawaii. How to get the best fare.